When I saw a post from one of my favorite food blogs, Damn Delicious, I just knew it was only going to be a matter of time before I tried it out. 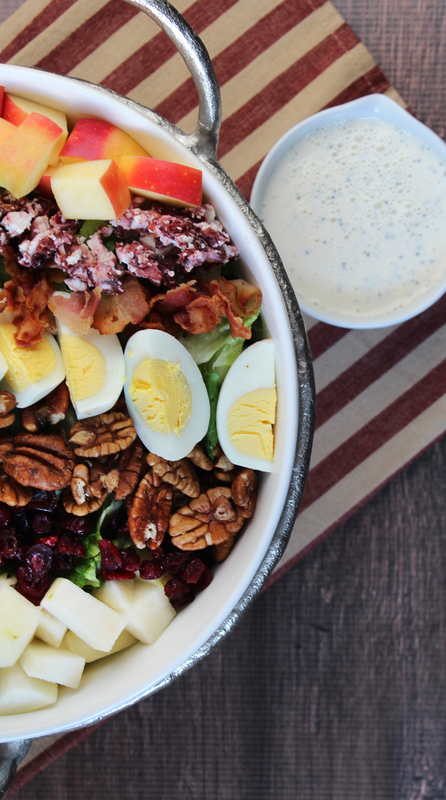 This fall salad, or what she calls Harvest Cobb Salad, was perfect. It was the right amount of everything, and the perfect amount of fall flavor! You get a smokiness from the bacon, reminiscent of a roasted turkey, with cranberries, pecans, and apple. Can’t get much more fall than that! The dressing is different in a good way! I was nervous when I saw the mayo, but it isn’t overwhelming ad it doesn’t feel heavy or thick at all. I’d use just enough to lightly coat everything. I’d love to hear what you think of this yummy salad in the comment section below! —>Whisk all ingredients together in a bowl. 1. Place all ingredients on top of the romaine lettuce. 2. 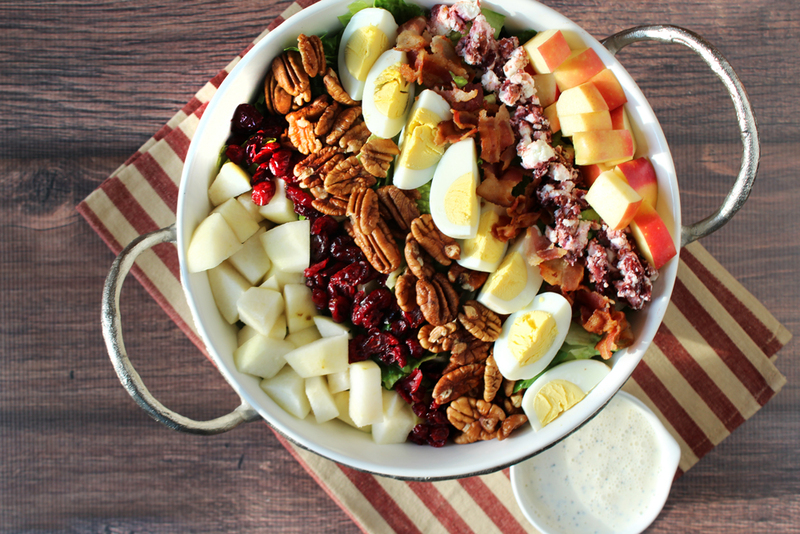 Top with homemade dressing.